Fodor's Travel Publications, 9780147546807, 352pp. Written by locals, Fodor's travel guides have been offering expert advice for all tastes and budgets for more than 80 years. Vancouver has a bit of everything, and it's all top-notch: fantastic food, excellent local wine, stylish shopping opportunities, boutique hotels, friendly people, world-class skiing in nearby Whistler (site of the 2010 winter Olympics), and gorgeous terrain for hiking, biking, boating, and beach-going. 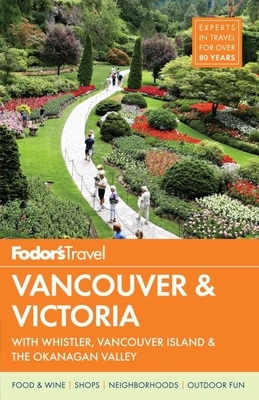 Fodor's Vancouver & Victoria is the guide to help you plan your time from the slopes to the surf and everything in between. This travel guide includes: - Dozens of full-color maps - Hundreds of hotel and restaurant recommendations, with Fodor's Choice designating our top picks - Multiple itineraries to explore the top attractions and what's off the beaten path - Coverage of Vancouver, Vancouver Island, Victoria, Whistler, and The Okanagan Valley Planning to visit more of the Pacific Northwest? Check out Fodor's Pacific Northwest travel guide with Oregon, Washington & Vancouver.